Home / featured post / World Teachers Day; Students Arrested After Baking Cake Laced With Marijuana For Their Teachers. 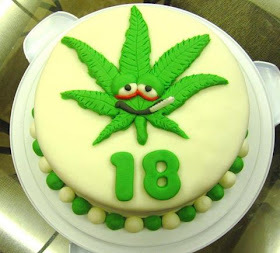 World Teachers Day; Students Arrested After Baking Cake Laced With Marijuana For Their Teachers. The Drug Enforcement Commission has arrested two juveniles of a named School in Ndola, Zambia for drug trafficking. The two juvenile pupils are alleged to have baked a cake laced with cannabis for their teachers during the commemoration of World Teachers Day. After consuming the said cake, the five (05) teachers began laughing aloud and behaving strangely. Later two (02) of them got very sick and were admitted at Ndola Central Hospital. The two juvenile pupils are currently in Police custody and will appear in Court soon. The Commission would like to warn school-going children to desist engaging in illicit activities as they risk ruining their future. Meanwhile, the Commission in Eastern Province has arrested Isaac Mailos Banda, 28, a small-scale farmer of Mukanda area in Vubwi District for trafficking in 266Kg of loose cannabis. Also arrested in Western Province is Kababa Litoya, 36, a small-scale farmer of Namaloba area in Kaoma District for unlawful cultivation of fresh cannabis plants weighing 18.2Kg. The suspects will appear in Court soon.